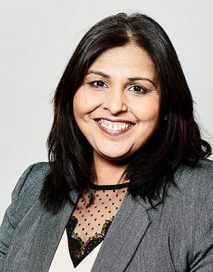 Nafeesa practises exclusively in Family Law and has a busy practice involving Children Act, Public Law and Complex Private Law proceedings. She acts for Local Authorities, parents and Children’s Guardians and Official Solicitor. Nafeesa has experience in dealing with complex medical issues within care proceedings including cases involving child fatality, serious head injury and multiple injuries to the child. She has acted for children with learning disabilities, and with issues surrounding cultural identity. Nafeesa also does Court of Protection work for both Local Authorities and Families. Nafeesa has given lectures on a range of issues, and recently on the Forced Marriage Act and has appeared in numerous cases locally on these issues.